A number of education benefit plans are available for eligible veterans. Following is an overview of the benefits most frequently used for enrollment at Newberry College. More detailed information about each program and its eligibility requirements is available from the Department of Veterans Affair at www.gibill.va.gov. The Post 9/11 GI Bill is for individuals with at least 90 days of aggregate service or individuals discharged with a service-connected disability after 30 days on or after September 11, 2001. Veterans, active-duty service members, and their spouses and dependents may be eligible for these benefits. Additional financial assistance is available for eligible veterans through the Yellw Ribbon Program (see below). The Active Duty Educational Assistance Program, is for individuals who entered active duty in the military after June 30, 1985 and served continuously for three years, or who served for two years on active duty followed by four years of Selected Reserve. To be eligible, veterans must have contributed $1,200 during their first year of military service. Veterans or service personnel cannot withdraw money paid into the fund. The Selected Reserve Educational Assistance Program is for members of the Reserve elements of the Army, Navy, Air Force, Marine Corps and the Air National Guard. To be eligible, reservists must have a six-year obligation to serve in the Selected Reserve signed after June 30, 1985. No contribution is required. Eligibility for this program is determined by the Department of Defense or Department of Homeland Security, as applicable. Educational assistance is available to the spouses and children of veterans who died or are permanently and totally disabled as the result of a service-related disability. Vocational rehabilitation for service-connected disability of 10% or greater is available through this program. The benefit provides a monthly stipend and covers the cost of tuition, books and supplies. Eligibility is determined on an individual case-by-case basis. The Veterans Education Assistance Program is for individuals who entered active duty service between January 1, 1977 and June 30, 1985, have served a continuous period of 181 days or more, and have contributed toward the education program. Newberry College is proud to participate in the Yellow Ribbon Program. All veterans who are fully eligible for the program (as determined by the VA) will receive a Yellow Ribbon Scholarship. Combined with matching funds from the VA, the scholarship will cover all tuition and fee expenses at Newberry College that are not covered by Chapter 33 benefits.  Apply for admission to Newberry College. Submit an application for benefits through the VA Online Application System (http://vabenefits.vba.va.gov/vonapp/main.asp) or download the forms at http://www.va.gov/vaforms and mail or fax the completed application to the the U.S. Department of Veterans Affairs. Once the Department of Veterans Affairs has determined your eligibility (typically 10-12 weeks after receiving your application), you will receive a Certificate of Eligibility in the mail. Submit a copy of the certificate to the Newberry College Office of the Registrar and to the Office of Financial Aid.